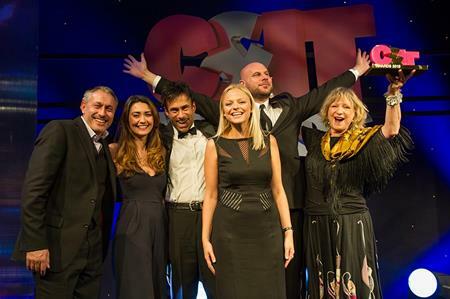 BrandFuel stole the show at the C&IT Awards on Friday (25 September), with four gongs including the coveted Grand Prix. C&IT catches up with client services business development director Sue Winckler. The agency was awarded Best Event Solution to a Business Challenge for its Ok Google event and both UK Conference or Congress of the Year and IT & Telecoms Event of the Year for Google Create. How have you developed such a successful relationship with the client? We’ve had a relationship with Google for the past ten years, which is a very long time. Whilst we appreciate that we’re not their only supplier, they’re a great client to work with because they push us hard. I think you always get a better result with clients who push you - because the partnership will spur each other on. For example, we run annual Google conferences, which have to be spectacular and different every year. You have to have your finger on the pulse to find new innovation to make that event stand out, whilst maintaining a structured format. We’re always at the cutting edge of technology so we can keep that strong relationship. It’s about working with a really good client and then adding that something extra. The other key is to never take your relationships for granted. It doesn’t matter whether it’s business or personal, you have to work at them all the time and drive each other forward. How do you maintain innovation in a competitive environment? Pushing boundaries is top of the agenda for Google - they’re an extremely creative company. At BrandFuel we pride ourselves on offering something that’s outside the box. We talk to the client and offer them things they’ve never tried before. It’s essential you build that relationship first, though. We’re a very small company to be delivering such large events, so if a client is going to go into untested waters or run a new type of event, they really need to have trust in you. We’ve organised events before where we’ve really branched out, because we want to enhance experiences for the company. How do your support your employees in achieving these goals? Firstly we aim to hire the very best. We employ people who think outside the box and are willing to be as innovative as us, with a focus on specific skills. For example, we’ve brought Phillip [Maggs] on board as creative technology director, to really drive our tech and keep us at the cutting edge. We have a healthy training budget, which means we can encourage employees to improve their skills, for example designers get training on certain types of new software. Everyone is entitled to leadership and management in their sector, as we feel it’s important for people to maintain business skills as well as creative. We do personality profiling at work, to understand how our people work best. We’ve also recently been awarded a Silver Investors in People Award. The whole office is over the moon about coming away from the C&IT Awards with four wins. It demonstrates out strong client relationships and our willingness to enhance their experiences. We like to think this ethos is reflected in the office environment.